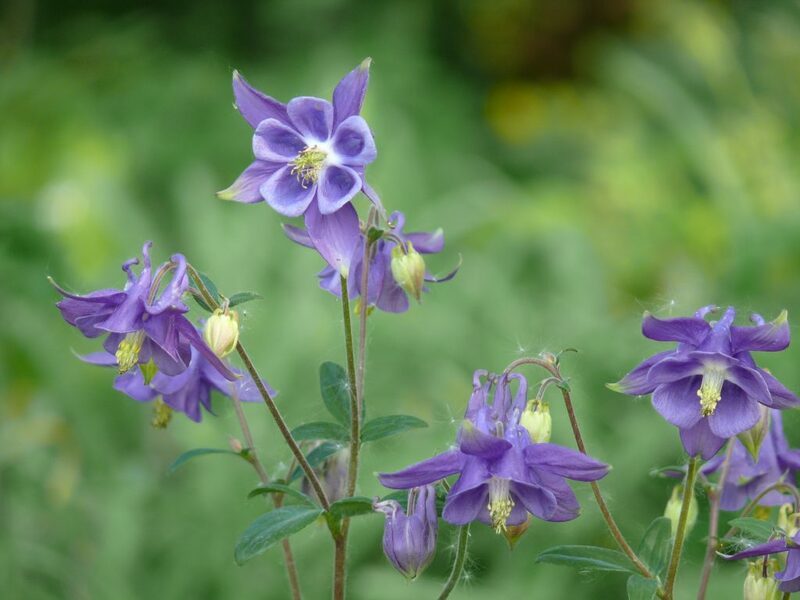 Aquilegia vulgaris is a perennial herb to 2 m tall (usually less). Leaves alternate, 2 times compound, leaflets lobed, bluntly toothed. Flowers blue, white or pink, 3-4 cm, nodding, radially symmetrical but complex structure, five petal tubes forming spurs, center with cluster of protruding stamens, May-June. Usually larger than A. canadensis. Aquilegia vulgaris fruit. en.wikimedia.org (Accessed 8/2017). 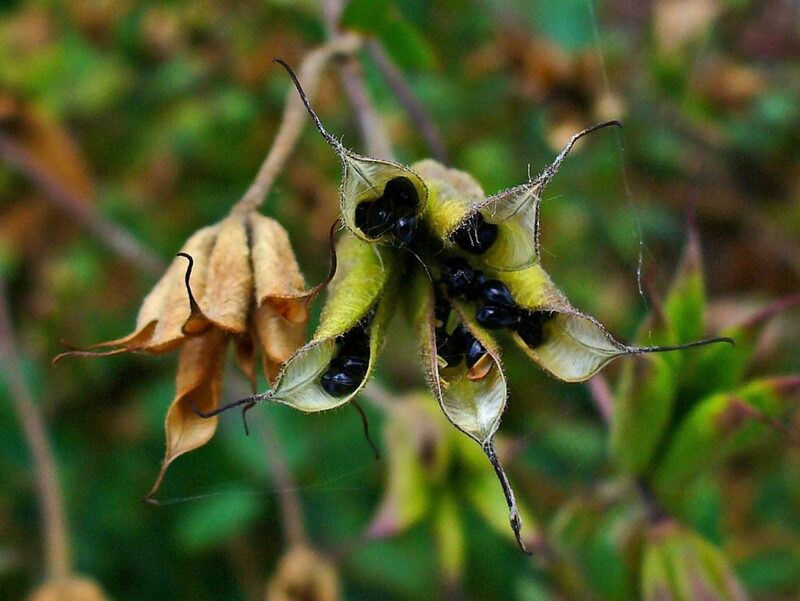 Fruit dry, hollow, 5-parted, elongate about 1.5 cm, capsules joined together, splitting open at tops to release small shiny black seeds. Winter plant pale brown with open, 5-parted fruit husks at tips of branches. Somewhat thicker than fruit of A. canadensis but other wise nearly identical. Habitat: Garden plant. Escaped or planted inappropriately in woodlands.